Owning a dog comes with huge responsibilities and rewards alike. And, apart from securing them a safe spot to sleep and premium quality food, you will also have to spend most of your time caressing and looking after your pet. You have to look for affordable and convenient dog houses to settle your dog in, pay regular visits to the vet and overall ensure that your pet lives a long and happy life. Nevertheless, you’ll end up with a true family member that is loyal and kind. So what better way to show your love for your pet if not by purchasing some silly dog costumes or the funniest accessories on the market? The product is part of artist Susan Lordi’s collection of handcrafted items. The box writes inside “Truly a friend” and comes with a gift card included so you can write your personal thoughts or birthday wishes and offer it to a friend, colleague or family member. The box is carved from a willow tree and painted by hand so you can enjoy a unique design with each piece. Each piece of the collection is made in the artist’s studio in Kansas City, so opting for her designs means supporting the local economy as well. The product is perfect for every dog lover and is large enough to fit jewelry or significant accessories. Are you searching for a unique gift for your significant other or your best friend? This 2-in-1 product combines a regular photo frame with a paw print imprint kit that allows you to imprint your pet’s paw and have something to remind you of your best friend anywhere you go. The double photo frame comes in various colors, including a beautiful shade of espresso that will perfectly match natural and industrial interiors in your home. The clay print is very easy to create as it doesn’t require mixing and doesn’t leave a mess behind. After finishing the process, allow the clay to dry for up to 48 hours before putting it in the frame. A true dog lover knows that some days we just don’t feel like talking to anyone else except our pets. Why not embrace this motto and wear a shirt that truly reflects your mood? This particular product comes in five different sizes and seven colors to choose from. It is made of a high-quality blend of poly and cotton to keep you cool and dry the entire day. Most of the customers who ordered it said it fits true to size and, thanks to its mixed composition, won’t shrink when washed repeatedly. Also, the professional technique used for printing will ensure a vivid text that will last and won’t fade away in time. If you’re looking for new ways to celebrate your love for your pet, you can try with a new pair of cute, warm, and fluffy socks. They come available in numerous funny prints so you can pick the one that best matches your personality and the rest of your wardrobe. There are plenty designs and colors to choose from, therefore it might be difficult to end up with just one pair. The set contains four different pairs of socks, each measuring from 23 to 25 cm, suitable for sizes 5 to 8.5 US. Both fashionable and breathable, these socks will keep you warm and dry the entire day. What better way to finish off a stressful day at work if not enjoying a quiet dinner, your favorite TV show, and a good glass of wine? And if you also want to express your love for your pet while at it, this printed wine glass is definitely a great idea. The fancy glass can be filled with 15 ounces of your favorite liquor and, thanks to the legless design, it is more stable and reliable. You can place it anywhere you want. The product is made of top-quality glass that is resistant to chips and safe to put in the dishwasher. This funny mug is designed to make your mornings more bearable. The large size allows you to fill it with your favorite beverage and enjoy a fresh start early in the day. The print on the mug says “I work hard so my dog can have a better life” so it’s the perfect gift for any true dog lover, be it a coworker, family member, friend or significant other. The item is made of 100% pure white ceramic that is resistant to chips and breaks. It can be filled with up to 11 ounces of pure joy, whether you’re opting for tea, coffee or soda. This extremely soft and fuzzy blanket is the perfect addition to your bedroom. It measures approximately 60×72 inches, making it great to cuddle you during the cold weather or after a tiring day at work. It comes in numerous cool designs, including one with dogs, so make sure to pick the favorite print for your personality. It is a great gift for children and adults alike and, thanks to its warm fabric, it will make you feel better in an instance. You can take it with you in the car, put it on your patio and simply enjoy the benefits of a good night sleep in your own bed. This cute tote is here to help you no matter what you want to carry. From books to snacks, groceries, school supplies or clothes, the shopping bag is large enough to easily fit all your essentials. It is made of 100% cotton which makes it biodegradable and good for the environment. It is easy to clean and you can also wash it by hand in cold water to avoid consuming more energy with your washing machine. 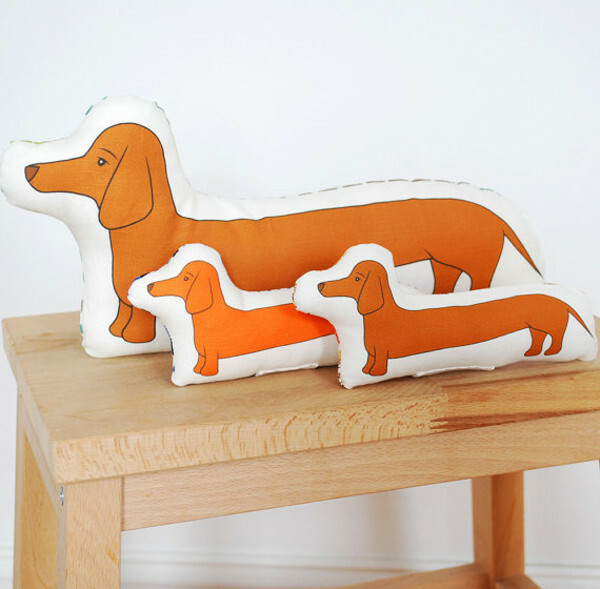 The product is available in numerous dog-related prints, so make sure to pick the right one for your own pet. There is no such thing as having too many mugs, so why not complete your outstanding collection with a piece that shows true appreciation for your dog? This brightly colored mug will definitely make your mornings more bearable and cheer you up for the day. It is available in two beautiful shades of pastel pink and purple and the design features black printed paws on the interior and white printed paws on the exterior. It is made of high-quality porcelain and is dishwasher safe and microwave safe so you can heat your favorite beverage easily and safely. 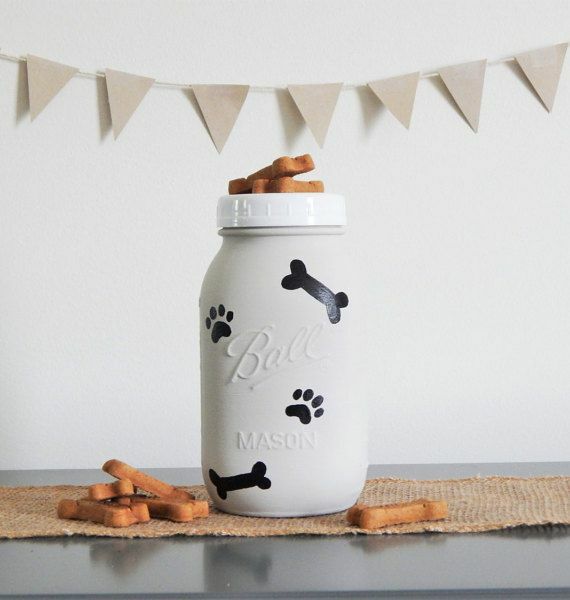 The quest for cool gifts for dog lovers has begun. Almost every member of our team owns some kind of pet or the other, and that is why we have taken it upon us to analyze the best dog gift reviews as closely and thoroughly as possible. Here, you’ll find the neatest gadgets for dogs but also some destined for their owners, as well. Some of the things that you will have to consider is whether you are willing to invest in a device that’s functional and might cost a pretty penny or would much rather opt for the legendary t-shirt that can let the whole world know that your friend likes doggies, in general. While some people might still think that personalized cups and t-shirts still make gifts, we would like to burst your bubble and tell you that practical presents are truly appreciated by pet owners all over the world, and way more than any symbolic or decorative object that might have little to no value in the long run. If you are honestly looking forward to giving a present that makes an impression, consider getting a dog from the pound. Adopt, don’t buy, should be the mantra of our generation. Dog lovers come in all ages, shapes, and sizes, and the neat thing about them is that they are part of a community without them even knowing they are. Some people like to say that they like dogs better than cats, but there’s really no degree of comparison between the two. Dogs are loyal, friendly, and can build up the trust so that they become a true friend in need. Some cats might be the same, but the rule does not apply to the majority of our feline buddies. Some of our team members own cats, and while several are perfectly pleased with the way they behave, others would much rather own a dog, instead. Of course, this doesn’t apply to all cases, and we’re fully aware of that. Check out our simple guide if you want to find out more about how you can impress your canine loving buddy. Practical things prove their worth over time, and that’s universally available. However, some might be less functional than others. If we were to take a Star Trek uniform dog shirt and compare it to one that can be used in extreme weather, we would most likely choose the one that keeps the doggy as warm and comfortable as possible. Of course, the tastes and preferences of the dog lover matter, and we do not beg to differ. However, something that most people fail to notice is that pet owners are invested in providing the well-being for their pets as if they were their children. So, that is why a techie might fail to be impressed with a Star Trek uniform for their dog unless they live in a particularly warm climate. It goes without saying that there isn’t anything stopping you from going for the traditional alternative, which is to say that you can always pick one of the coolest gifts for dog lovers available for sale. While in some cases, this might mean getting a cup or t-shirt, in others, it might involve doing a bit of research. Flash drives are utilized extensively everywhere nowadays, so getting one in the shape of a doggy might not imply all that huge of an effort. The greatest gift that you can give to a friend who owns a dog is to go to his place and feed them, take them out for walks, and provide all the means for entertainment that might have ever crossed your mind. If, however, you live in a different town or you just can’t take some time off work, the least thing you could do is get them an automatic dispensing toy that can let out treats or food. Something else that might be appreciated by dog owners is a portable water bowl. In most cases, such products are made from flexible plastic, so your friend won’t have too much trouble bending them to their liking. This way, if they go out in the park, you can rest assured that the dog is properly hydrated all of the time. If you were to give you friend a doormat with the message ‘Ring the doorbell and let me sing the song of my people – signed, the Dog,’ it would most likely make an impression. We all love quirky gifts, and you know it just as well as we do that sometimes, it takes little to nothing to create that special bond with your buddy. Even better, if you are a dog owner yourself, you probably know what you should opt for. Signs that let your neighbors know that their dogs can’t poop in your garden are great, because only your dog is allowed to do so, and you’re supposed to pick up everything after him or her. If the friend you are getting the present for is a Scot or has a love for the Scotland, what with all the hype of Outlander, Braveheart, and other movies and TV shows, you can always get a kilt for the dog. Sometimes, the doggy might get in the nasty habit of marking his or her territory, and that’s likely to happen using pee, or worse. Repellant sprays are made to prevent this mishap or at least ensure that it does not occur again. Keep in mind that not all products designed for this product are made from the same ingredients. While some might be eco-friendly and do little to nothing in the way of threatening the health of your pet, others might be less so.